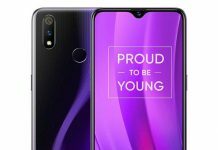 Huawei Consumer Business group India, has launched HUAWEI P30 Pro & Huawei P30 lite in India, showcasing the world’s most advanced smartphone technology till date. Building on the HUAWEI P Series’ DNA in design and technology, HUAWEI P30 pro is the company’s most technologically comprehensive smartphone. Achieving a record-high overall DxOMark score of 112, HUAWEI P30 Pro is bringing about a paradigm shift in camera technologies and is setting new standard for videography. The device is slated to disrupt the digital imaging technology space. The flagship device boasts of a 4200 mAH battery with unique SuperCharge and Wireless Reverse Charging technology, stupendous performance driven by the world’s first 7nm mobile process chipset, Kirin 980, guaranteeing stronger performance and lower power consumption and packs in a GPU Turbo 3, taking mobile gaming to the next level. HUAWEI P30 Pro rewrites the rules of smartphone photography with numerous breakthrough innovations and ingenious design. 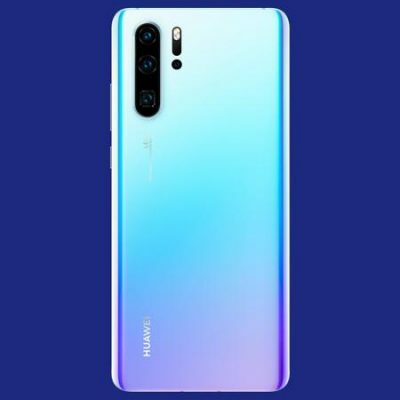 The device features the path breaking HUAWEI SuperSpectrum Sensor, an optical SuperZoom Lens, a new HUAWEI Time of Flight (ToF) Camera, and enhanced optical and AI image stabilization technology. Equipped with some of the world’s most revolutionary technologies, the HUAWEI P30 Pro allows users to capture incredible photos and videos in every scenario. The 1/1.7-inch HUAWEI SuperSpectrum Sensor looks at light in a fundamentally new way. The RYYB HUAWEI SuperSpectrum Sensor deviates from the traditional RGGB Bayer filter by replacing green pixels with yellow pixels, yielding a high maximum ISO rating of 409,600 on the HUAWEI P30 Pro- something that is unheard of in any DSLR till date. This fundamental shift in sensor technology, combined with HUAWEI AIS, OIS and the HUAWEI P30 Pro’s f/1.6 wide aperture, delivers extraordinary photography and videography experiences across a wide range of scenarios and lighting conditions—including extreme low light—producing images with enhanced detail, color and clarity. These industry-first camera technologies pits the P30 Pro against all DSLRs out there. Designed with the concept of “The Aesthetics Design,” HUAWEI P30 Pro exemplify the beauty of nature. The back of Huawei’s latest device captures the ethereal beauty of the salt flats, evoking the images of the breathtaking lake with its compact design. HUAWEI VP30 Pro features a new generation of FullView display that supports a resolution of up to 2340×1080. It adopts a curved screen design that uses a flexible OLED panel. The 6.47’’ OLED Dewdrop display brings stunning colours and greater viewing. The two sides of the screen naturally bend downwards towards the edge of the frame, which dissolves into the viewing experience for a borderless screen. The HUAWEI P30 Pro design, created with a nine-layer nano optical color finish, is inspired by the unique color palette and pristine look of salt flats. Instead of a traditional top-front speaker, the HUAWEI P30 Pro uses HUAWEI Acoustic Display Technology to provide a larger display and increased hearing area. The electromagnetic sound levitation will project sound from the vibrations in the display to your ear. The near bezel-less front glass houses an In-Screen Fingerprint sensor for quick and secure identity authentication. HUAWEI P30 Pro features world’s first 7nm mobile process chipset, Kirin 980, with stronger performance and lower power consumption. Kirin 980 is a product packing cutting-edge process technology, a revolutionary architecture, and a Dual-NPU. HUAWEI P30 Pro transcend smartphone—it is a technological masterpiece made for the future. This innovative chipset plus up to 8GB of RAM and 512GB of memory storage reveal a performance powerhouse in the HUAWEI P30 Pro. The HUAWEI P30 Pro also boasts of HUAWEI SuperCool technology to improve thermal performance, keeping the phone cool even during heavy use. The device comes with a full support long-lasting 4,200mAh battery with intelligent power saving technology. It also features a new generation of HUAWEI SuperCharge, which supports 40W charging—enough to charge the device by 70 percent in 30 minutes, which is TÜV Safety Certified. HUAWEI P30 also features the revolutionary Wireless Reverse Charging technology, allowing the device to be used as a power bank for other gadgets—even friends’ phones. With AR measurement toolkit on the HUAWEI P30 Pro, The HUAWEI TOF Camera can accurately and instantly measure the length, width and depth. Utilizing the Face Recognition technology, user can measure the height of a person is just a simple task of scanning from toe to head. It allows users to detect movement and immediately enjoy their experience on the device.